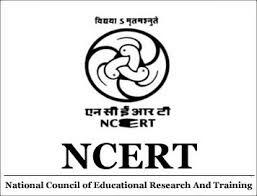 The National Council of Educational Research and Training (NCERT) is an autonomous organisation of the Government of India that was established on 1 September 1961 as a literary, scientific and charitable Society under the Societies' Registration Act (Act XXI of 1860). Its headquarters are located at Sri Aurbindo Marg in New Delhi. Dr Hrushikesh Senapathy has been director of the council since September 2015.NCERT assists and advises the central and state governments on academic matters related to school education. Candidates age limit should be below 30 years for Post No. 01 & 40 years for Post No. 02. Age relaxation is applicable to 05 years for SC/ ST and women candidates, 03 years for OBC candidates & 10 years for physically challenged persons for Post No. 01. Candidates should possess Graduation in any subject and 01 year Diploma/ Certificate Course in Desk Top Publishing from a recognised Institute for Post No. 01 & Master Degree in Hindi/ Sanskrit with Linguistics/ Grammer Specialization with at least 55% marks or equivalent (50% in case of SC/ ST/ PH Candidates) with computer knowledge for Post No. 02 with relevant experience. Candidates will be selected based on skill test for Post No. 01 & interview for Post No. 02. Eligible candidates may walk in skill test/ interview with application along with photograph, original testimonials and self attested copies of certificates on 12-06-2017.